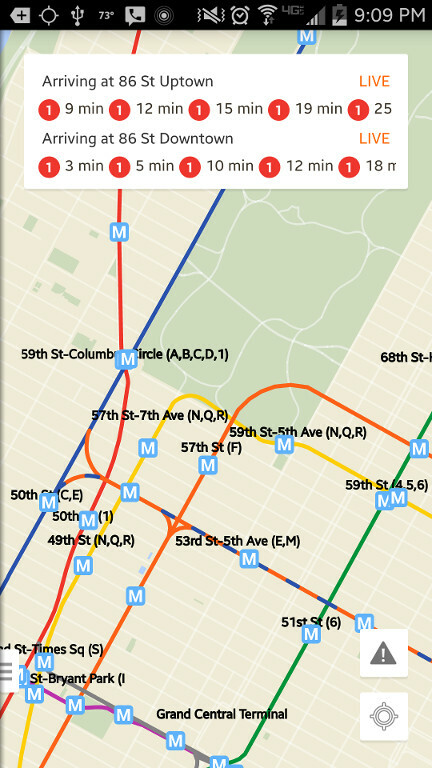 Show the next trains arriving at the closest 1, 2, or 3 stops. 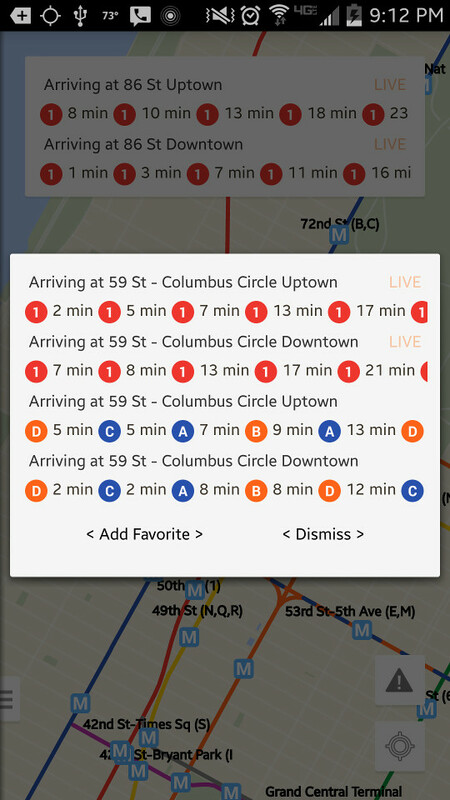 Click any stop on the map to show arriving trains. 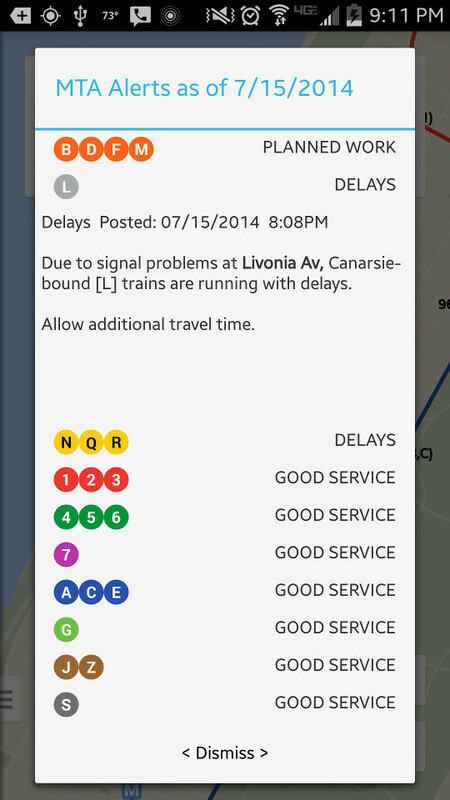 1/2/3/4/5/6/L trains have real-time ETA provided by the MTA; all other lines use scheduled arrival information. 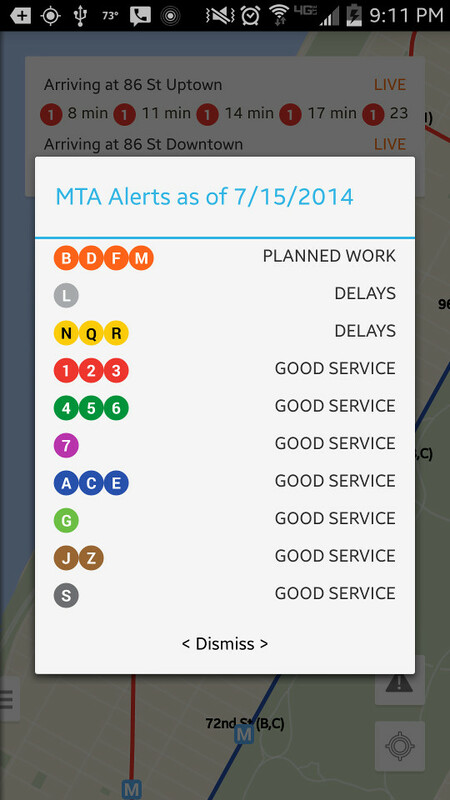 Live status of all train lines provided by the MTA. Click any alert to get detailed information.